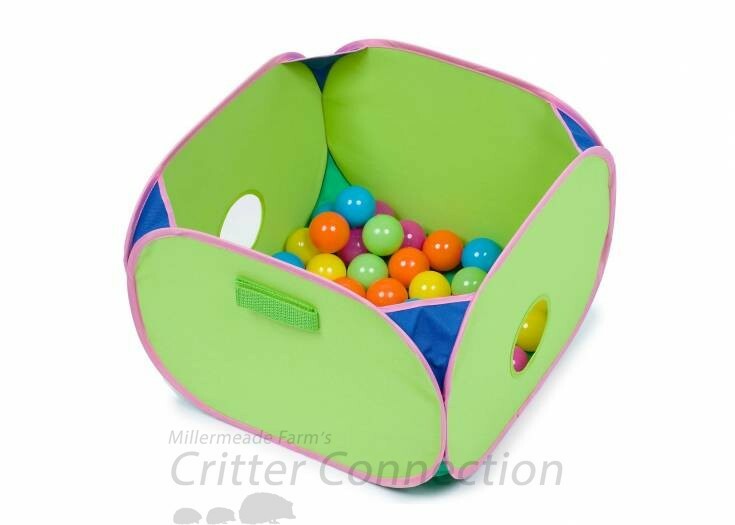 The Pop-N-Play Ball Pit was made with ferrets in mind. They love jumping in and out of holes and tunneling through colorful balls. Excellent for multiple ferrets and other small pets such as hedgehogs, guinea pigs, rats, and chinchillas. 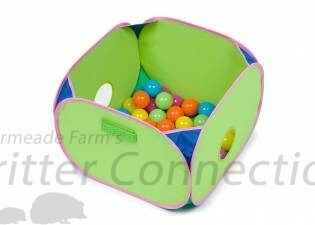 Comes with a handy Velcro tab that attaches to furniture, cages or playpens to prevent tipping. Made of durable fabric that wipes clean.